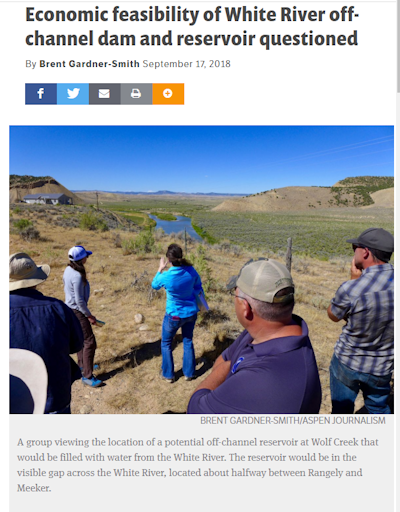 One of the proposed dams/diversions we are tracking is the “Wolf Creek Dam” using White River water in northwestern Colorado near Meeker. The White River is a tributary of the Green River. The Rio Blanco Water District has recently put in a funding application to the Colorado Water Conservation Board to escalate the planning process. Colorado River Update! Drought, Dams, Pipelines, Paddleboards, and Climate Action Plans!